Millennials are both the most sought after and most frustrating demographic to reach when it comes to marketing. As of 2018, the age of these consumers ranges from 22 years old up to 37 years old, with the majority of this group settling down and becoming more aware of their life plans. Established in adulthood, Millennials are picky about what brands, products, and experiences they will invest into, but only because they know exactly what they want. The tourism industry is in a prime position to reach this unreachable group through positioning strategies that emphasize unique, informative, and personalized experiences, all at an affordable price. The “Instagrammability Factor” of a travel destination has to do with how picturesque, iconic, and unique photos are online for the activities, locations, and services available. As one of the most social demographics today, millennials are always browsing and comparing photos across multiple social media accounts at once. In fact, 40.1% of millennials are even using Instagram to decide their next vacation based on the instagrammability alone! Promote your most “Instagrammable” venues and experiences through your brand’s social media accounts. Encourage guests and visitors to share photos from their experience on social media using branded hashtags that reflect your brand. Create a unique hashtag for your destination that travelers can use when they share pictures from their visit online. Part of Instagrammability is how unique and one-of-a-kind an event might be. Of the one-third of Millennials who say they post deceptively good vacation photos, 65% said they’ve done so in order to make their friends and followers jealous. 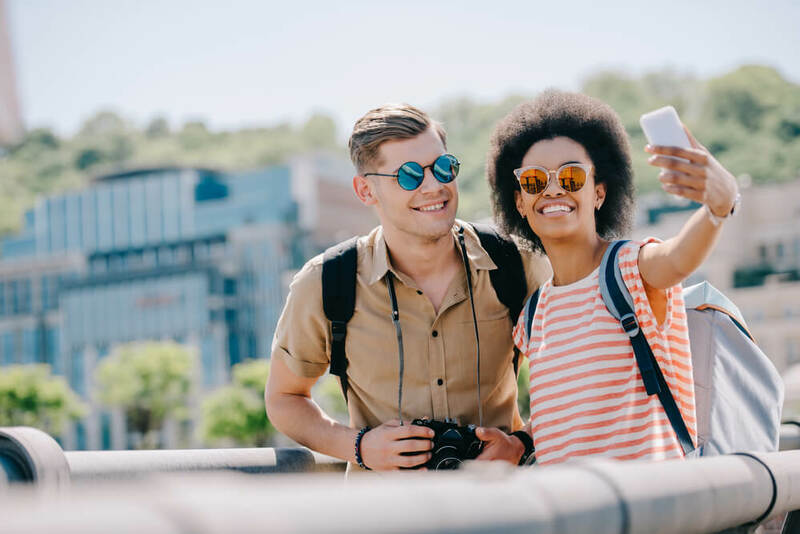 Millennials are looking for unique opportunities that can differentiate and elevate their vacation experience from others within their social feed. Create or promote unique experiences only available at your destination or in the surrounding area. Make an ‘instagram guide’ for your destination to give visitors ideas for their next social media post and photo album. Much more frugal, and yet still very willing to pay for convenience, Millennials are choosing immersive experiences over material goods. Cultural, educational, service-based, and bucket-list worthy experiences are becoming the deciding factors for millennials as they plan out their upcoming vacation. This is especially true for solo travelers looking to lose themselves in the experience. Promote local experiences unique to your brand or destination, using high-quality pictures and user-generated content of guests participating in activities and events in marketing creative. Partner with local venues and create deals or packages that make it easy for visitors to plan their trip and enjoy their stay. Having grown up surrounded by traditional and digital advertisements, Millennials have become disillusioned by mass marketing as a whole. However, equally tech-savvy, this demographic has come to expect advertisers to target them specifically with personalized ads. When it comes to travel ads, Millennials are looking for a vacation experience that is uncomplicated and already planned out for them. This means providing easy access to customer support, information and booking for events, activities, and services all online. Update online websites and content for easy booking, support, and information gathering, especially for mobile browsing. Create and promote suggested itineraries featuring both on-location and local activities, experiences, instagrammable locations.